I have been busy working on ways to bring MELT to you and those you LOVE . . .
I’m hosting an Intro Workshop at Downtown Dance in Lake Worth, February 15, 2015! I’m feeling the MELT Love … I’m gifting you a special coupon code at checkout – get the second registration for HALF OFF!!!! Yep, that’s right. Treat yourself and someone you love to a 90 minute therapeutic treatment workshop! If you’ve been good about MELTing your body daily, or at least 3 times per week, this is the perfect time to refine your skills while introducing the world of self care to a loved one! For more information on the workshop and registration, click here. You’ll use the coupon code MELT4TWO at checkout to apply the discount for your loved one! Come MELT your body and the heart of someone close to you! MELT, how will it help you improve your game? Jamie Anderson knows . . . So you have a favorite sport or activity you are longing to improve? MELT is making its way all over the world, not only in our lives, but also in the lives of professional athletes, namely here, our Olympic Athletes. These amazing athletes are looking for ways to reduce injuries and improve athletic timing and performance, and they are finding it in The MELT Method! Read the article here on how MELT teacher, Corrie Anderson is helping her sister, Jamie Anderson, and other athletes at the Winter X Games, perform better and play pain free and injury free! MELT really works and it continues to blow my mind every day I get to do it and share it!!! MELT headlines are everywhere . . . Here is another wonderful and truly informative news coverage of MELT! Watch this CBS local news segment on Western Pennsylvania’s MELT community with Advanced MELT Teacher, Tonya Ford! She said MELT got rid of her hip pain! People are initiating the healing mechanisms of their body with this therapeutic treatment technique! Read and watch the news segment here, and learn how others are healing through this work,.Then, join me in February! Who knows, you just might really love it! Lastly, I’ve been healing through MELT and Yoga . . .
You can check out my journey on Facebook or Instagram. If you are into social media, simply like, share, and/or follow me to stay up to date on The Dancing Soul happenings. You’ll notice the Instagram gallery on any page at The Dancing Soul. Here’s hoping it will inspire you to check in to your body daily! 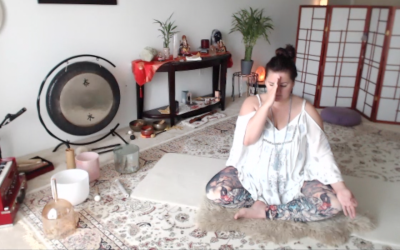 I’m working on compiling the text (my daily intention and pose information) and photos from my first challenge in February, Restore From Chaos-restorative yoga challenge, into a photo album for your reference. It will live on the Yoga page at The Dancing Soul! This months challenge is Hearts and Hips! Stay tuned for more on my healing journey and how you can incorporate other modalities to live your best and most active life!! !See you in February for a bit of self care love! I see the beauty in me, the beauty in you, and the beauty of all that connects us to one another!